Amber's Airline: High Hopes Collector's Edition is rated 3.3 out of 5 by 31. Rated 5 out of 5 by nwpeg from Ignore the bad reviews! I bought this game after the free trial as it keeps me going way past bedtime. Easy enough to get 3 stars most times, find the mouse most times and the extra little challenge all just add to the fun story line. If you don't like the dialogue just skip it. I found this to be a fun story line and I read the dialogue even though I usually skip it. Rated 5 out of 5 by Falurose from I REALLY LIKE THIS GAME! This game was very fun for me, I didn't find the levels hard. I just completed every game and only had to repeat 5 levels out of 60 only because I didn't reach the 3 stars. The storyline was great only thing is I wanted to know who Amber picked to date. Overall this was a fun game and glad I purchased it. Rated 5 out of 5 by TJC333 from I like the story The game has great graphics and I enjoyed the story. The level of challenge wasn't difficult, but none of delicious challenges are very challenging. Great time management game. I will purchase it. Rated 5 out of 5 by bashereddin1 from Bah humbug! I like it. It is no more difficult than any other Angela game, it is fast-paced and I welcome that it is not so easy to get boring. From level 1 it is a challenging game. I managed level 13 on the 1 hr trial and i got 3 stars for each, only repeating 1 level twice. It is not sticky, it is as we always expect, have faith, click what you want and it will happen. The mouse was easy to find also. As for the storyline, there is an immediate skip at every level - JUST SKIP IT!. Not sure why all the discontented vibes, it is a playable and fun game. Full credit to the developers.. Rated 5 out of 5 by julie65608 from Yes! A visit to Snuggford! I am a Snuggford junky so this is a no brainer for me. We have a new character Amber. We have the pesky mouse. This is set at the Snuggford Airport. 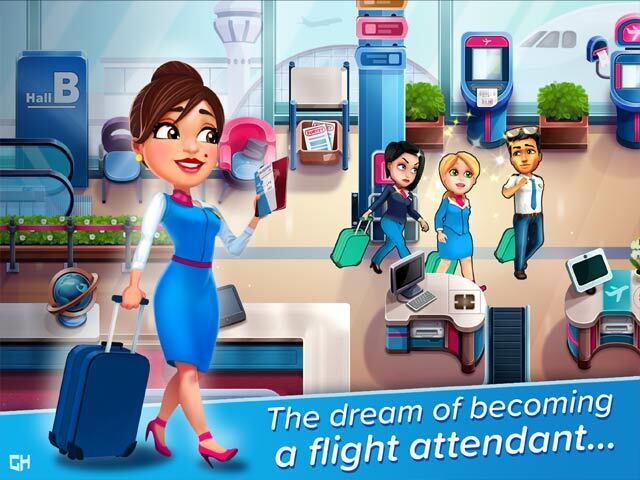 It is an airline game..... My favorite type of time management game. And yes there are different kinds. I had fun playing it. Check it out and see what you think. A great addition to the Fabulous and Delicious series. Swim on fishes! Rated 4 out of 5 by faulkwood from I Like It I enjoyed this edition to the storyline. I agree that the storyline could be more upbeat seeing that the news is already filled with so much tragedy but that aside I actually liked the game itself. It was fun and I don't mind the mouse - he brings a nice continuity across this series of games. It was overall enjoyable. Rated 4 out of 5 by Momma_Llama from Will probably play more This is a great story line, though I didn't see anything "collector" about it. What I hate is the "mini-games". They ruin the flow of these games to me. Otherwise, good game. It feels like a "part 1"... as it gives the impression there is more coming in this game. Rated 4 out of 5 by foureal from Good Game I love this game but the ending could have been better, but over all I love and will continue to play it.